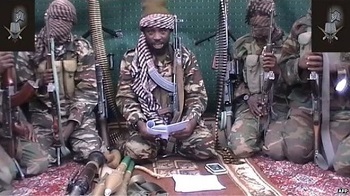 Boko Haram has claimed responsibility for yesterday's bombing with the belief that the leadership of the Nigerian army lied about the number of casualties. Boko Haram on Thursday claimed responsibility for a suicide bomb attack that killed two police officers in northeast Nigeria, just days before a regional security summit on efforts to eradicate the Islamists. The group said the attack was carried out by Abu Anas al-Ansari. It claimed “at least 15 apostates (non-believers)” were killed in the attack, which happened at about 12:00 pm (1100 GMT) at the Borno State Secretariat in the city.